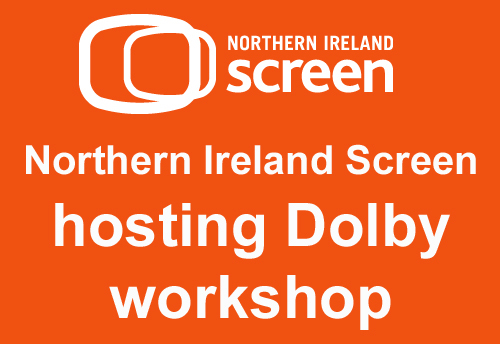 Northern Ireland Screen is hosting a talk with Dolby to examine how developers can integrate Dolby Atmos using the Microsoft Spatial Audio Platform to further understand the general capabilities of spatial audio. The session will also examine how using Unity and Unreal plug-ins into existing audio workflows can create more immersive user experiences. The talk will take place on Thursday 24 January at The Lounge, Ormeau Baths, 18 Ormeau Avenue, Belfast, County Antrim, BT2 8HS from 6:00pm – Refreshments will be provided. Game developers are now able to deliver Dolby Atmos audio in Xbox One and PC games, bringing three-dimensional audio, including height and depth (with headphones), to the gaming experience. In this talk Andy will provide an overview of Dolby Atmos technology, and how the Microsoft Spatial Audio Platform supports Dolby Atmos over HDMI and headphones. Game producers, programmers and audio engineers looking to take their content production to the next level. Students studying game development may also find these sessions useful. Places are limited and will be allocated on a first-come-first-served basis, please RSVP early to avoid disappointment. Register now to secure your place.